This recumbent trike was built to give the rider a serious workout. It was originally built for a handicapped man, but he was unable to use it as his physical condition had worsened. I had the opportunity to take it out for a spin and I was surprised with how well it handled and I felt comfortable with it in only a few minutes time. Just like riding a bike! 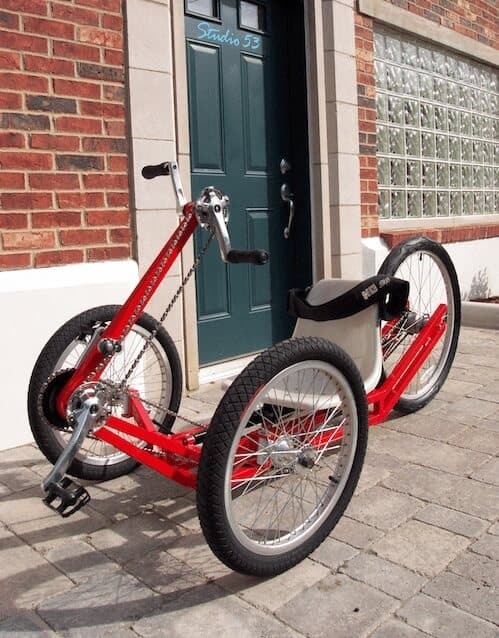 Get a real workout on this fun McLean ABW Recumbent Trike!